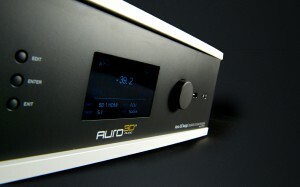 The Auro-3D® Auriga™ is a state of the art processor delivering our 540° sound field in high resolution audio with full backwards compatibility. It’s truly a milestone in audio, being the first ever AV Receiver that reproduces true 3D Sound all around the listener. Ordinary Surround Sound provides sound from around the listener, with speakers to the front and behind in a 360°axis. 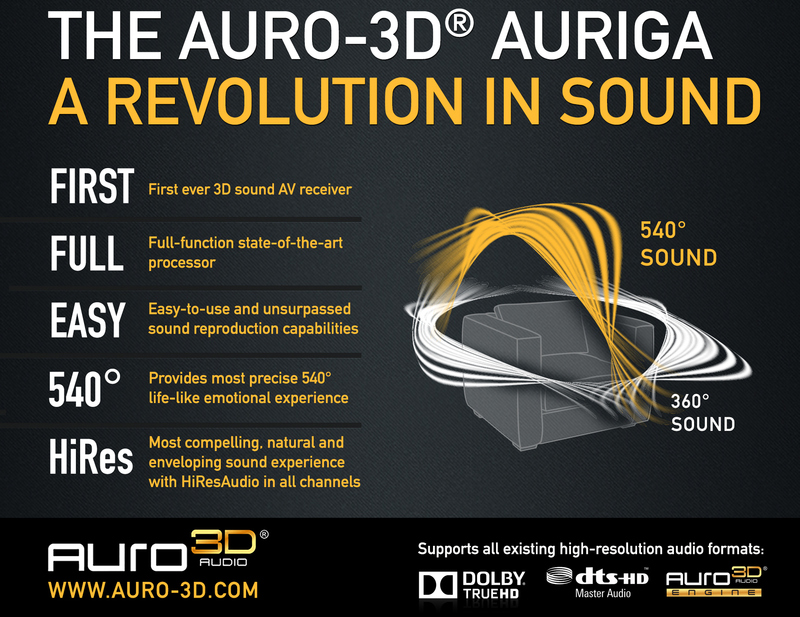 But with Auro-3D® we have added the third dimension of height with a 180° vertical soundfield, in order to create a cocoon of sound all around and above the listener, like a 540° acoustic field. By adding “Height speakers” as defined by the Auro-3D® format, you can be truly immersed in sound, creating the most life-like emotional experience, whether you are watching movies or listening to music. That’s why we call it a revolution in sound! August can be a quiet month for some, but not for Auro Technologies. There’s been a huge amount of interest in experiencing Auro-3D®, so we’ve been travelling all over the world supporting our distributors and resellers, and working with partners to bring immersive sound into the home. You can experience the Auro-3D® format for yourselves next month when we will be demonstrating the Auriga at IFA Berlin, and CEDIA in Denver, AES in Los Angeles – and we will shortly be announcing two new models to join the range as well! Of course, we are still expanding our network of digital cinema screens equipped with Auro 11.1 by Barco, and bringing new 3D movie content for cinema-goers – How to Train Your Dragon 2 is out now, and Transformers 4, Spiderman 2 and The Expendables 3 are some of the latest blockbusters featuring an Auro-3D® mix, amongst many more worldwide. A list of Music titles created in the native Auro-3D® format will be announced soon, bringing a totally new experience in music reproduction. Enjoy the 540° audio revolution!